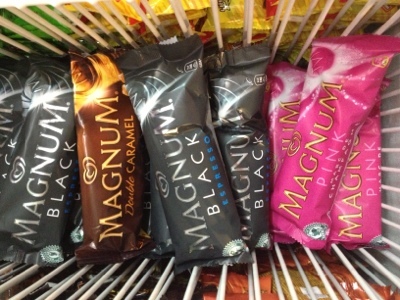 I was in Singapore for the last 4 days and look what I found, Magnum Marc he Champagne and Magnum Black. 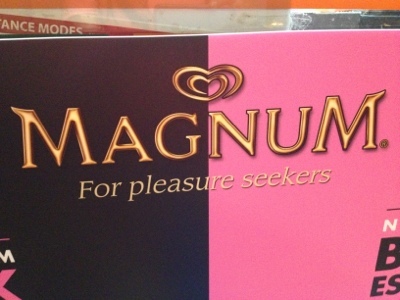 These two flavors are limited edition bars which is not available in Bangkok as yet. But I hope they make these part of the regular flavors. This limited edition started in Singapore from the 1st of August and I am not sure until when it will be available. 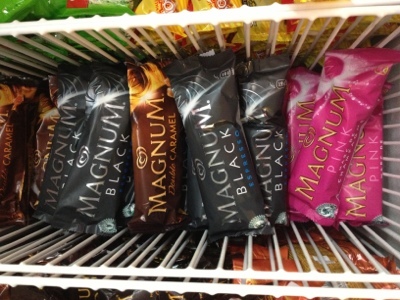 Magnum Black is an espresso flavored ice cream bar. 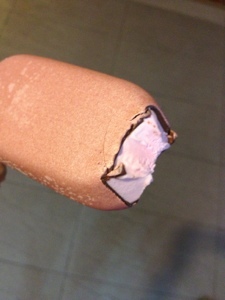 It is a blend of coffee and harmony chocolate. 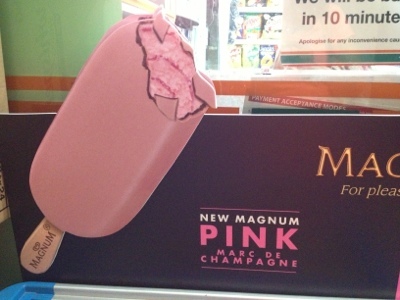 But I choose to try the Magnum Marc de Champagne, also known as the new Magnum PINK. 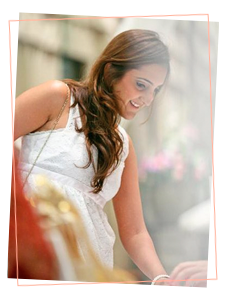 This one is for all wine lovers out there. This bar is covered in cracking chocolate and pearlescent pink coating and tastes like sweet wine. It does actually have 1% Marc he champagne, which is a type of brandy. It Was truly yummy, milky, chocolaty and nicely blended. 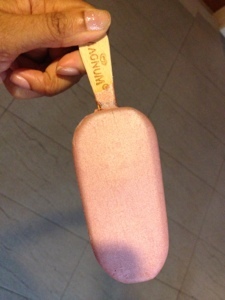 One bar was for 5 Singapore dollar so around 100 Thai Baht, which is pricy for a ice cream bar sold at seven eleven or a convenient store.